Chances are if you’ve ever picked up a bag of cotton balls at the store, your child soon discovered how fun it is to hug the squishy bag. It’s that fun texture that makes cotton balls so much fun to use in kids crafts. 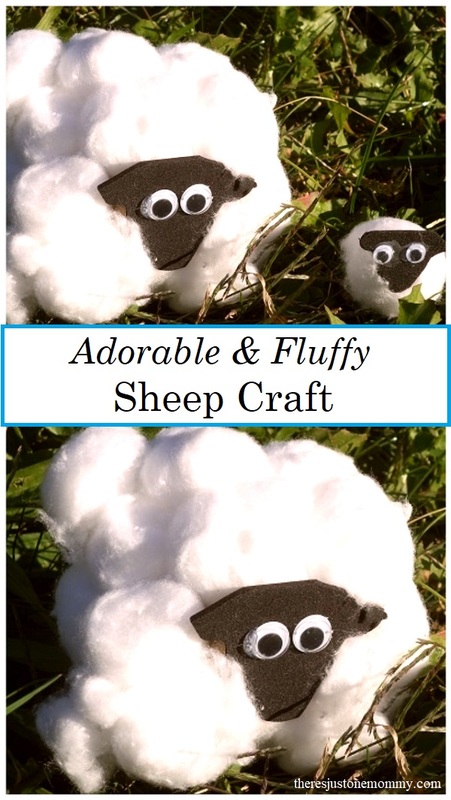 You can have fun using cotton balls to make this adorable cardboard tube sheep craft. 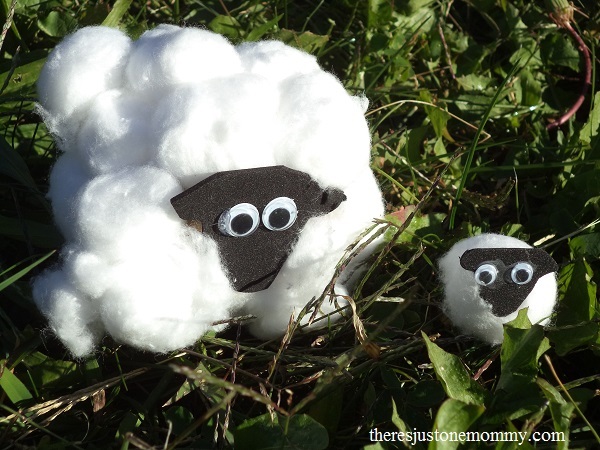 This fuzzy sheep craft would be cute as part of a farm unit or as an Easter craft. But we think sheep are so cute, you could really do this one any time of the year. 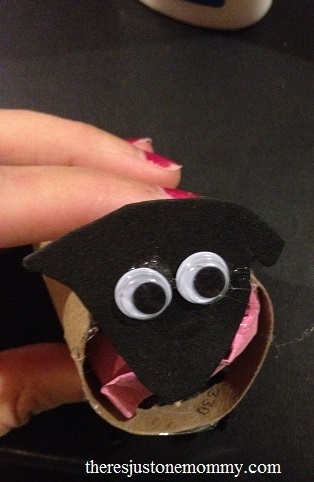 Start making your cardboard tube sheep by cutting a toilet paper tube in half. You could also cut a 2 inch portion from a paper towel tube. Use a hole puncher to make four holes on the bottom of our tube, 2 on each end. These will be for the legs. Thread a 2 1/2 inch long piece of black pipe cleaner through each pair of holes to create the sheep’s legs. Secure it with a piece of tape inside the tube. We crumpled up some paper and stuffed it inside our tube. This step isn’t necessary, but it will help give you a little something extra to glue the sheep’s head to later on. Cut a face shape from black craft foam and use the hot glue gun to carefully glue it to the edge of the cardboard tube and crumpled paper. Now it’s time to give your sheep some wool. Using a paintbrush have your child coat the cardboard tube with white school glue and then add cotton balls. When doing the ends of the tube you will need to pull the cotton balls apart a bit to help them spread more. 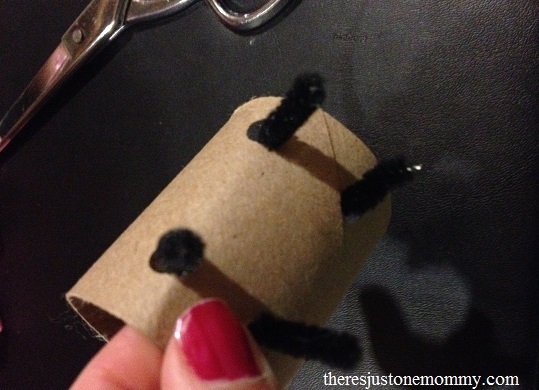 Glue them to the cardboard tube’s edge and the crumpled paper that is stuck inside. Finally, add wiggly eyes to the sheep’s face and let the sheep craft dry. Want to make a baby to go with your big sheep? It’s super easy! Just cut a small face from black craft foam, glue it to one cotton ball, and add itty-bitty google eyes. This fuzzy little cardboard tube sheep craft is fun to do in the spring or any time of the year. And once it is dry, your child will have fun playing with their creation. My daughter will love this! We’ve been working on farm animals lately, so this fits right in! Thanks for sharing! G’day Thanks for sharing at our #SayGdayParty; How cute and pinned! Please revisit if you haven’t already and say G’day to the hosts and another person at the party! Ewe! This is such a cute craft idea!